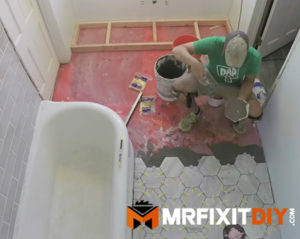 In this DIY project tutorial I’ll walk you through how I installed the tile floor in my jack & jill bathroom and show you all the considerations and planning that needs to be done in order to do a DIY tile floor install. 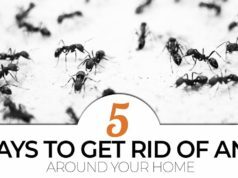 This project will take you a few days so make sure to set aside a weekend or a few days where you can afford to not use the bathroom you’re working on. Disclosure: This post contains a paid product placement by The WD40 Company. All views and opinions are my own. To get started, first I had to remove the existing floor and prepare it for the new tile floor. 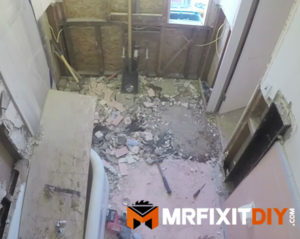 This bathroom happened to have an old pink tile floor with a thick mortar bed under it so removing it was a bit of a challenge. I used a combination of a sledgehammer, a hammer drill, and a shovel to pry it up. Once I had the old tile removed, I had to do a little bit of structural work to repair some subfloor damage due to water and termites (cutting out old, rotten areas and replacing with new wood). Once the subfloor was repaired, I could get to work on preparing for the new tile. 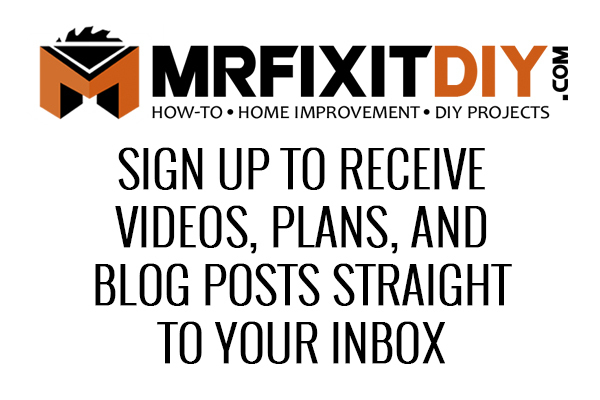 In this case, I installed a ½” cement backer board on top of the subfloor. Make sure your floor is level when preparing your substrate. If it’s not level, consider floating a mortar bed to make it level. 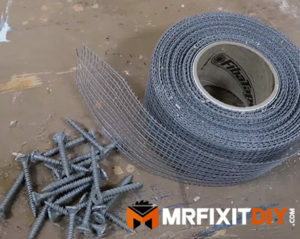 There are a lot of options out there to use as a substrate under the tile including cement backer board like I used, floating a mortar bed like the previous floor, or using a newer product like Kerdi Waterproofing membrane. 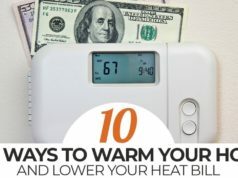 If you plan to add radiant heating in your new flooring, that may affect which type of substrate you choose to use. In this case, I just went with the simple backer board. 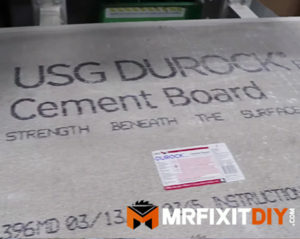 Installing the backer board requires cutting the pieces to fit your space, and then attaching it to the subfloor with cement board screws. Once installed, I used some mesh tape and thin set mortar to cover all the seams and create a water resistant surface. 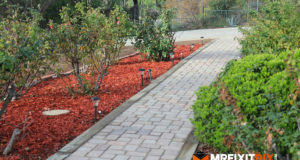 From there I chose to cover the whole floor in a product called Redgard. Redgard is a liquid waterproofing membrane. I had used it for the shower walls and had leftover so I chose to use it on the floor as an added waterproofing barrier. Next I was ready for tile. 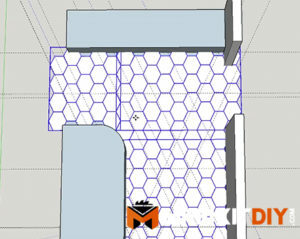 In my case I chose a hexagonal porcelain tile (I said ceramic in the video) and because of that, I wanted to experiment with the layout to minimize cuts and waste. I find using software like Google Sketchup allows you to input the dimensions of your space to determine the best layout before installing. To install the tile, I’m mixing up some thinset mortar and applying it to the floor with a notched trowel. The rule of thumb is to use thinset mortar as your tile adhesive in wet areas. For drier areas like a kitchen backsplash, you can use tile adhesive or mastic. Because this is a larger tile, I’m using a ¼” trowel. Always start away from your access door and work your way out of the room. I notch a work area in the mortar and then use a technique called “back buttering” on each tile before setting them in place. 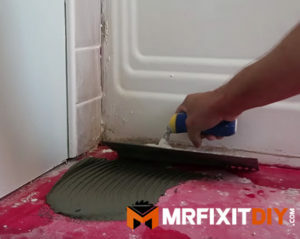 Back buttering involves using a small trowel to apply mortar to the backside of the tile which when pressed into place, creates a solid seal of mortar to secure the tile in place. For tile spacers, I chose to use these tile alignment spacers. 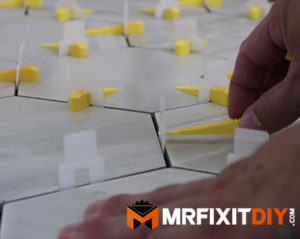 These tiles have 6 sides so this type of spacer helps minimize lippage, which is where one tile is higher than the next. Because of the hexagon shape, I had to use a LOT of them. I worked my way through the room and when I got to the edges, I used my wet saw to cut the tiles to the necessary size. When it comes to the toilet flange and the curved tub surround, I used a pair of tile nippers to cut a radius in the tiles so that the cut was as clean and close to the curved surfaces as possible. Once I had worked my way through the entire room, I let the mortar set for 24 hours before coming back in and removing the clips and breaking off the protruding spacers. And finally, I’m ready for grout. In this case I’m using a Non-sanded grout because my grout lines are ⅛”. 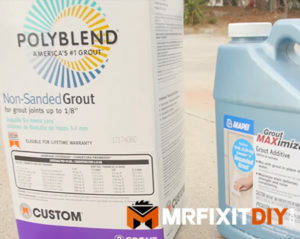 If your grout lines are larger than that you should use Sanded grout. Grout comes in a wide array of colors but I chose to use a grey similar to the floor. I used a rubber grout float to spread it across the floor making sure all the lines were filled and then used a wet sponge to wipe off the excess once it had hazed over. Lastly, I applied several coats of grout sealant on the floor to create a watertight seal and prevent it from getting dirty. Grout is a porous substance so if you don’t seal it, it can absorb moisture and dirt. 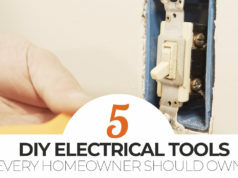 Once you’re finished with your tools, I always recommend you wipe them down with a coat of WD-40. 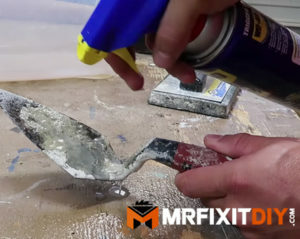 If you don’t do this, your trowels can oxidize as they sit around so next time you go to use them you’ll have to deal with scrubbing off the rust. If you forgot to clean them off before the mortar has hardened, don’t worry! You can still clean them. 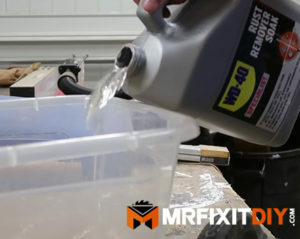 Use some WD-40 Trigger Pro to spray on the mortar, and then tap it with a hammer. Then using another trowel or painter’s tool to scrape off the mortar. Then wipe them down with WD40 afterwards. If you have rusty trowels sitting around, I recommend soaking them in WD-40 Specialist Rust Remover Soak for a while. Spend the time to keep them in good working order and they’ll last you for many more jobs to come. Well that’s it for this project, I hope you enjoyed it and I hope it gave you the confidence to tackle your own DIY bathroom tile project. 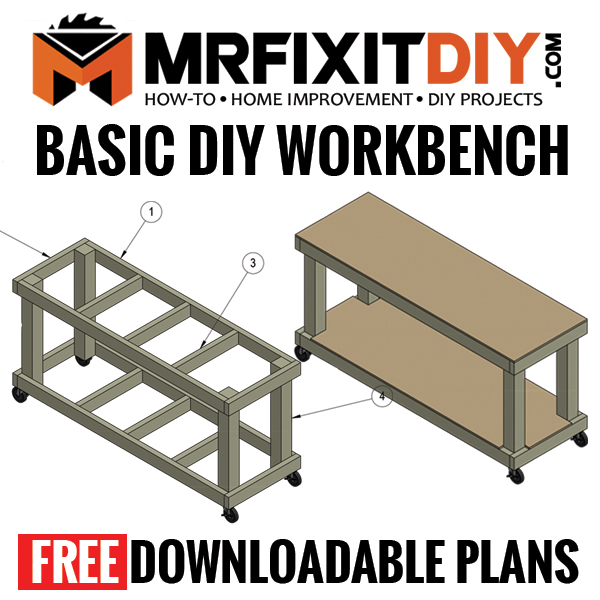 If you did enjoy this project, here are some others you may enjoy.